Coffee activates the production of stomach acid. This may result in an irritation of the stomach lining that can lead to more serious problems. People with a history of ulcers, acid reflux and heartburn or gastric discomfort after drinking coffee may want to avoid it. Ask your doctor whether drinking coffee can affect your stomach lining. Coffee is composed of many chemicals and compounds, including fats, carbohydrates, amino acids, plant-based acids called phenols, vitamins and minerals. The elements thought to affect the health of the stomach and stomach lining are caffeine and chlorogenic acid. Coffee stimulates the stomach to produce gastric acid, creating a more acidic environment. The exact chemical or combination of chemicals that cause this effect remains unclear. A 1982 report published in "Gastroenterology" studied a number of high gastric acid-producing beverages and concluded that no single component -- acidity, caffeine, calories, or other mineral content -- was consistently responsible. A study presented in the 1999 "Scandinavian Journal of Gastroenterology" set out to examine commonly held beliefs that coffee's acidic nature causes gastrointestinal problems. After reviewing the research on the subject, the authors concluded that coffee does cause the gastrointestinal disorder known as heartburn, which occurs when the sphincter of the esophagus becomes weak and allows stomach acids to move back up into the esophagus. This can lead to tissue damage and gastroesophageal reflux disease, or GERD, although this is unrelated to the lining of your stomach. The authors offer the theory that coffee -- even decaffeinated coffee, though to a lesser extent -- causes the overproduction of gastric acids that leads to this uncomfortable problem. Gastritis is an inflammation of the stomach lining. Its symptoms include indigestion, heartburn, hiccups, stomach pain, nausea, and bloody or dark vomit and stools. A bacteria called Helicobacter pylori is the most common cause of gastritis. H. pylori weakens the stomach lining, allowing gastric acids to irritate it more easily. According to MedlinePlus, drinking too much coffee may increase your vulnerability to H. pylori. By itself, gastritis is unlikely to cause long-term damage to the stomach lining, but untreated gastritis may develop into gastric ulcers, a more serious condition. Gastric ulcers are sores that appear in the lining of the stomach. By itself, coffee is not thought to cause ulcers. However, its effect on the stomach may exacerbate existing ulcers or slow their healing by promoting a more acidic environment and damaging the overall health of the gut's mucous membranes. A report published in the 2004 "Acta Medica" followed 10 healthy coffee drinkers and a control group of 8 non-coffee drinkers. It discovered that the mucous membranes of the coffee drinkers' stomachs were more permeable than those of the control group, suggesting that tissue damage had occurred. 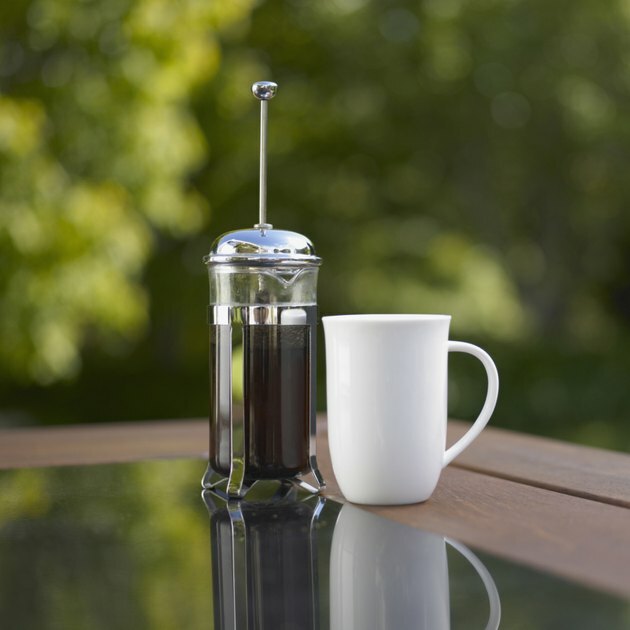 A 48-hour break from coffee led to significant improvement in the health of the tissues. Will Decaffeinated Coffee Cause Less Stomach Irritation Than Caffeinated Coffee? Does Coffee Affect the Esophagus?